← Roasted Pepper and Mozzarella Bruschetta………. I love fresh corn in the summer. Don’t you? I like it steamed, boiled in butter, grilled, roasted, on the cob….off the cob. I love it. 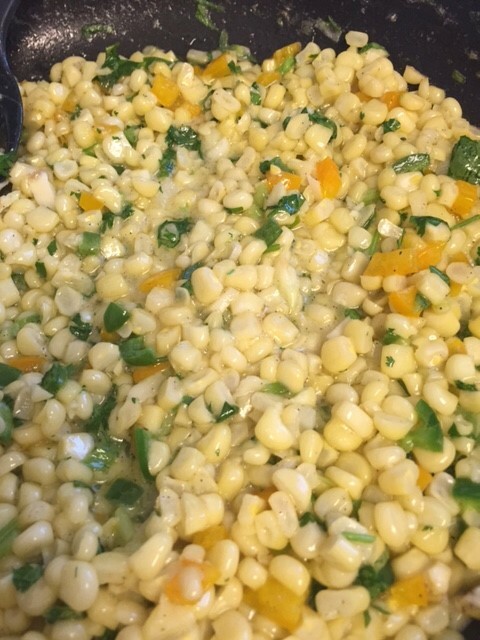 One of my favorite restaurants served a corn side dish recently, that I just couldn’t get enough of. So, of course I had to copy it. Mine was way better if I do say so myself. I think I’ve made it 3 times in the last 3 weeks. Even though I used fresh corn on the cob, this would work with frozen or canned corn as well. It’s light, fresh and filling. It was a great side dish to my baked chicken! I hope you will try it. Remove the corn from the cobs. In a large skillet, melt the butter. Add everything except the cilantro, into the pan. 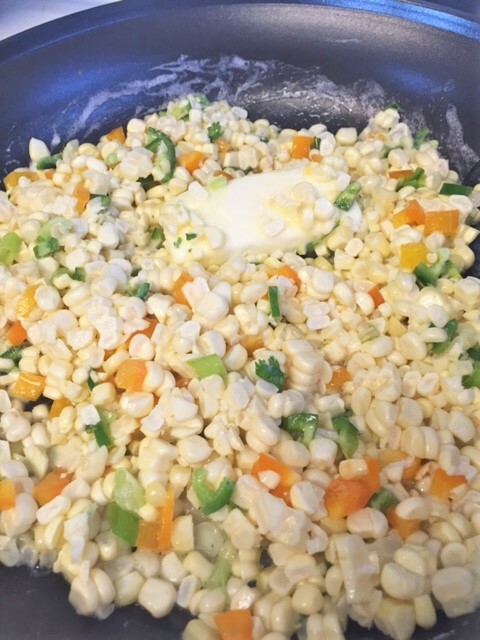 Stir it around until the corn is cooked to the consistency you like. It’s better when the corn is still crisp. Add the cilantro at the end, give it a stir, stir, stir.